"Who else wants to Save Money on treadmill buying, repairs, and maintenance?" •	Why You Should Own a Treadmill. Now! "...And DO all that within just a few hours of finishing this report"
Simply sign up with your primary email above where it says: "Your Best Email" and confirm your email address by following the instructions on the next page. That's it! You'll receive this "world class" information that only a handful of lucky people knew existed a short time ago. Special Limited Time Offer: Sign up now and get your own online personal trainer. FREE! PLUS: Receive weight loss stories, fitness articles and health improvement tips from leading experts in health, fitness and nutrition. 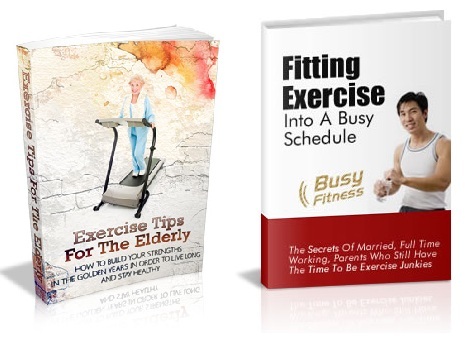 AND... You also get instant access to the 2 Ebooks below. Free! ($30 value) Also, be sure to read our weekly newsletter as I will be giving away more ebooks for free. **Please note that your information will never be shared to anyone. I HATE spam as much as you do!